Financial knowledge always starts at home and advisors are challenged to play a big part in encouraging their clients to discuss financial literacy to their children. 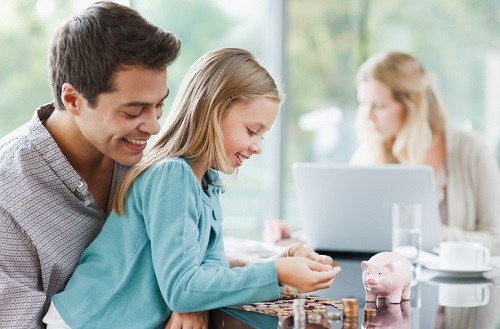 According to a survey by TD Bank Group, 54% of Canadian parents are worried that without learning healthy money habits, their children will go into debt as adults. Additionally, one in three parents said they would have to bail their children out of money trouble if the latter did not acquire the right attitude towards finances. TD Bank Group executive vice president Kerry Peacock said starting money talks in an early age allows children to ask questions and learn the concepts of budgeting, saving, and spending. While Canadian parents rank money amongst the top four important subjects to discuss with their child, almost a third of them still find it difficult to approach the topic. "Opportunities for money conversations with your kids are everywhere – from how you save to pay for their extracurricular activities, use your credit card to pay for groceries, to how grandparents can afford family visits when they are retired," Peacock explained. A financial advisor can help their clients approach their children with this subject through this outline developed by the TD Bank. Age 5 - 6 - This is when parents should introduce their children to money. This is also a perfect time to encourage them to save using piggy banks. Age 7 - 8 - Parents should be able to instil the habit of saving further. Age 9 - 12 - At this age, children can be taught how to do their budgets. Age 13 - 15 - By this time, parents should introduce what credit card does. They should also impart the importance of making payments on time. Age 16 - 18 - Parents should continue supporting as their children build their financial independence.